The flagship Triton8 OCC cable series in three configurations where each configuration is handmade with 8 individual OCC (Ohno Continous Cast) 26AWG wires: 1) Pure silver OCC, 2) Copper OCC, and 3) Hybrid 4 silver/4 copper OCC. 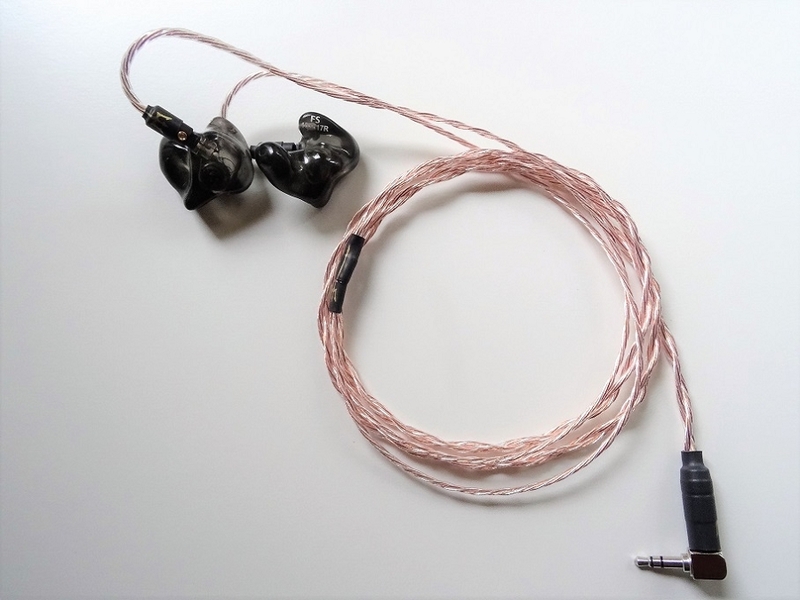 Refine your iems/ciems and squeeze out the last drops of audio bliss with an all OCC Triton8 cable. Each one is hand made from start to finish in the USA using Cardas Eutectic Silver solder. Available with standard 0.78mm 2-pin or MMCX connectors. Available in a wide range of single ended and balanced termination. No memory wire. Approximately 3" inches of clear heat shrink ear loop/guide. 1 year warranty on build and components (does not cover normal wear and tear or accidental damages but can be fixed at reasonable cost). Requests for Eidolic, PlusSounds, Oyaide, Furutech or other third party components are honored and available at cost. However, ordering them can take 3 days to 2 weeks just for delivery. Orders with third party components will be done with a PayPal invoice after final communication via email or phone. Please send inquiries if there's a component not listed or have questions. They will be promptly replied. I have worked with Triton Audio Cables for various cable-related tasks and the service and support has always been second to none. When I found out about this new cable, the Triton8, I was very excited and was eager to order one. The cable was built quickly, with top of the line components and you can tell the workmanship is top notch. This cable was built with serious attention to detail. There is much debate about whether or not cables affect the sound and I'll just be frank: if you can't hear a difference between a $20 cable and a $200 cable, get new IEMs. I have tried various cables from pure silver, to pure copper and in between and this cable is my favorite. To my ears, it sounds like a pure silver cable in that the detail extraction is perfect. It adds a slight hint of warmth on the bottom end and to me, this really is the best of both worlds. 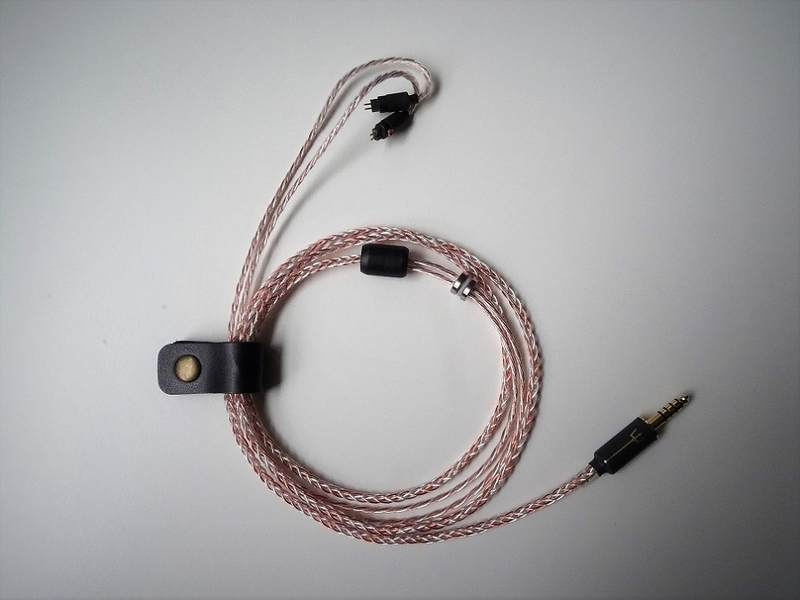 There is no other cable on the market near this price point where you get a custom, hand-built, 8-conductor silver/copper hybrid cable that is built to these standards (or any standards for that matter). I now own two of these cables and could not be happier with both the Triton8 and the oustanding, world-class service from Triton Audio Cables. I purchased the Triton8 from Triton Audio Cables around the holidays. I expected a week or so wait. What I received was no wait at all and a cable that blew away my expectations. Comfort and build quality is on point and i would say it definitely took my CA Vegas up a notch on the sound quality as well. I decided to upgrade my listening experience recently with the purchase of an Onkyo DXP-1A and some Noble Audio IEMs. Needless to say that was a huge upgrade coming from MP3 files and an IPod. 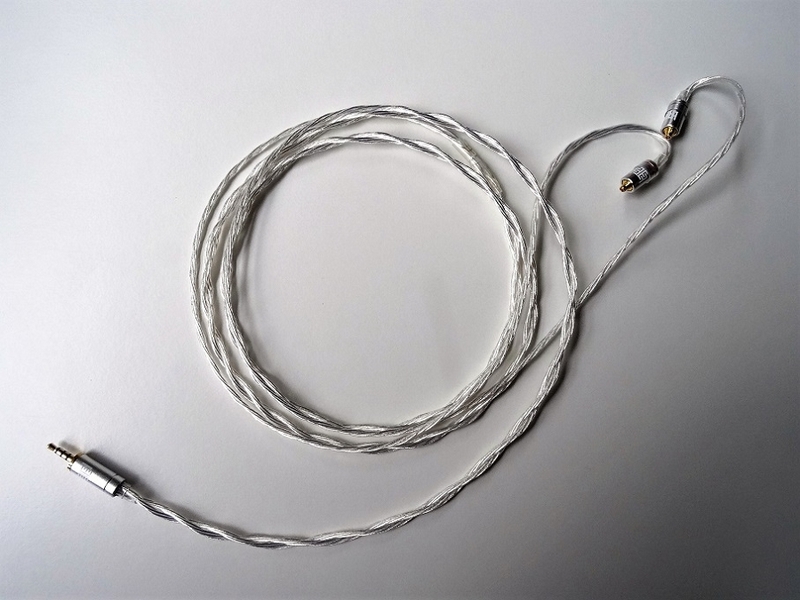 While perusing the head-fi forums I stumbled across a forum on upgraded cables and the name Triton Audio Cables kept coming up. I understand that having a better cable will make a significant difference in audio quality but I had no idea how much an improvement a replacement cable would make. 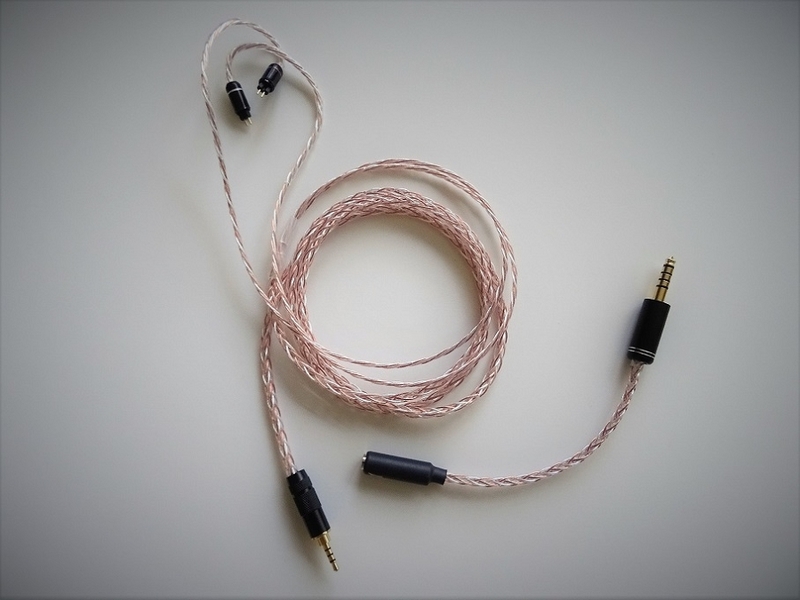 I jumped off the deep end and ordered this Triton 8 Hybrid cable based on all the positive comments on head-fi. Ordering process was quick and easy and David had my cable shipped out in two days. I received it a few days later (overseas) and immediately swapped out the cable. First impression was wow, this is a heavy duty cable.... Turned on my player and was blown away by the difference in sound. I thought my Savannas were great sounding before. I felt like I was listening to a different IEM. Great purchase and would not hesitate to do business with Triton Audio Cables again. Thanks again! Pleasant Improvement! I've been wanting to upgrade my Sony EX1000 cables for quite some time but for one reason or another it just never happened until recently. I was reading through a thread on Head-Fi about the RHA CL2 that I recently purchased and stumbled upon a mention about Triton Audio Cables and for the heck of it I emailed them and here I am. I said I was trying hard to believe all that I've read for the past couples years about cables. I explained this is pretty much an experiment and asked for suggestions. David the owner said he once owned the EX1000 so he's familiar that there can be a treble issue for some so he steered me towards some copper choices. I ordered the Triton8 and I clearly notice a pleasant improvement in my overall listening experience. That so called hot treble was never an issue for me but now I truely like the change and so happy with this outcome. It's like getting a custom tuned pair of IEM's. The cables themselves look great especially at the down to earth pricing! Plus its made in the USA! One thing is for sure. These are keepers. They will always be one of my favorites. Note: The Sony connectors are not stocked. Thank you David for procuring them.